Glen Hamilton and Emily Washines met in person for the first time earlier this fall at Fort Simcoe on the Yakama reservation. 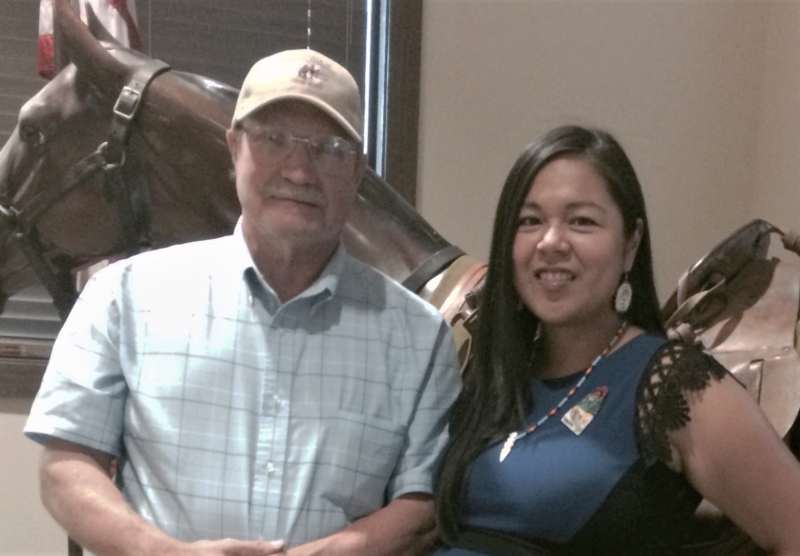 "After I got a pageant title, [they said] we want to talk to you about who Yakama women are," Washines said. "I thought, 'Oh gosh. There is going to come cooking lessons or something.'" "They said Yakama women fought in the Yakama War," Washines, now 37, recalled. "I remarked immediately, 'I promised to carry that and to know that and to share that.'" But there was a hitch. Washines couldn't find records of what her elders told her from the U.S. Army side. "I thought maybe I'll go and ask the descendants if they have journaled about it or know about it, or if they would consider standing by my side while I at least tell that history and account," Washines said in a recent interview. 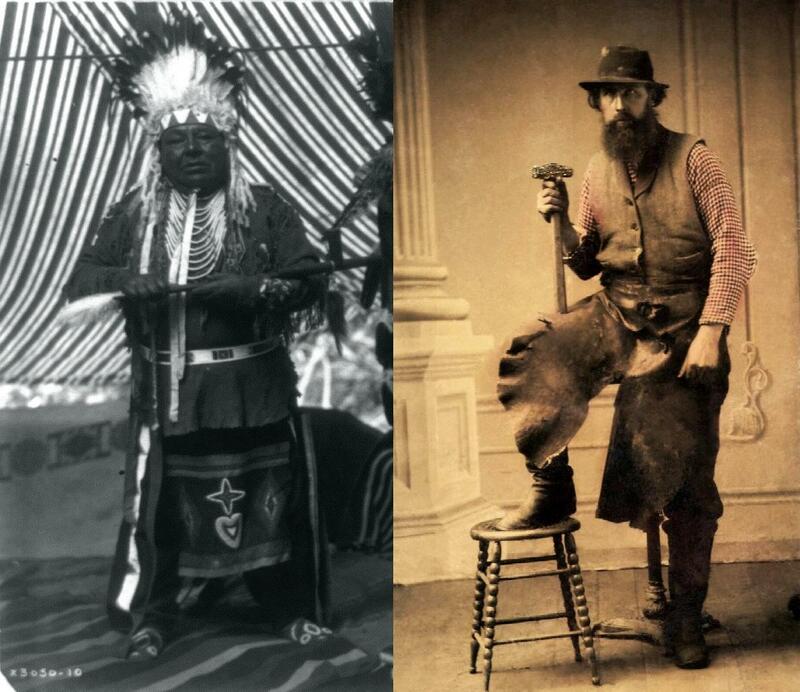 Supplina Hamilton (right) and George Meninick (left) were on opposite sides of the Yakama War when they were younger than shown here. Glen Hamilton is a descendant of Pvt. Hamilton and Emily Washines can trace her lineage to future Chief Meninick. "Growing up I knew that I had a great-great grandfather — my grandfather's grandfather — who had been an 'Indian fighter' and came west as a young man from Illinois," Hamilton said. Hamilton was already researching his family genealogy to learn more when he heard a story on public radio in August 2017 about Washines and her quest. Hamilton's ancestor, Pvt. Supplina Hamilton, was a blacksmith in Linn County, Oregon, when the territorial governor issued an urgent call in the fall of 1855 for volunteers to put down an Indian rebellion. "It shocks a lot of people to know that I am studying the Yakama War and putting this out there," she said. "There is still a lot of hurt there. It's a very hard history to hear." That history extends into the present day for non-Natives, too. Washines recalled an incident from midsummer that involved two EMTs who worked for a private ambulance company that responds to emergencies in the Yakima Valley, including on the Yakama reservation. American Medical Response fired the two men after they posted racist and derogatory comments on Facebook. One of the EMTs accused Native Americans of being poor losers and expressed a desire to "finish the job" of conquering them. Glen Hamilton, the 'Indian fighter' descendant who first corresponded with Washines by email, stressed how little the public knows about the war in the Pacific Northwest's past. "One-hundred sixty-three years ago there was a major military conflict that happened here in our state," Hamilton said. "And we don't even know about it." The first descendant from the U.S. Army side that Emily Washines met was author Steve Plucker of Prescott, Washington. Plucker identified himself as the great-grandson of Pvt. Charles Plucker who fought in the Yakama War. "These are descendants of the Yakama War standing side by side," Washines told the crowd. "It is not an 'us versus them' story anymore." "This whole journey with [Washines] and the work that she has begun in bringing together descendants of this very brutal and violent conflict to stand side by side and to remember — and to be able to just look at the truths and have empathy and want to move forward together — it's had an impact across my entire family," he said. And Washines still remains interested in connecting with descendants of 'Indian fighters' — particularly descendants of Maj. Granville Haller. Haller commanded a company of around 100 infantrymen and militia who marched from Fort Dalles, Oregon, to the first engagement of the Yakama War in October 1855. Haller later commanded Union forces in the Civil War and afterwards returned to the Pacific Northwest to become a successful businessman. He was buried in Seattle's Lake View Cemetery in 1897. Early this month, the historic preservation nonprofit Historic Whidbey purchased the house Haller built in 1866 in Coupeville and plans to restore it. Haller House is one of the oldest surviving homes from Washington Territory days. Haller Lake in North Seattle is named after the Army leader's son. Washines said she is in touch with Historic Whidbey about helping them to flesh out Haller's legacy in the Northwest.